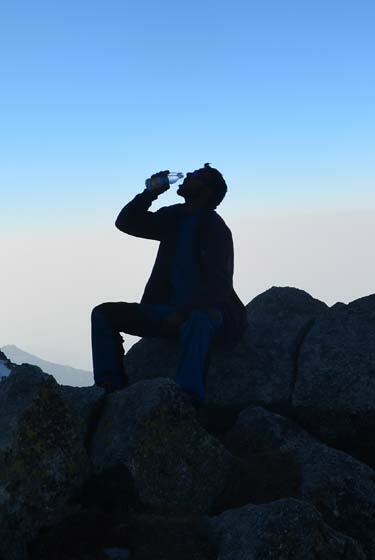 One of the most delightful treks in the Manali region affording views of lush green valleys, towering snow clad mountains and barren hills with surrealistic forms and shapes. 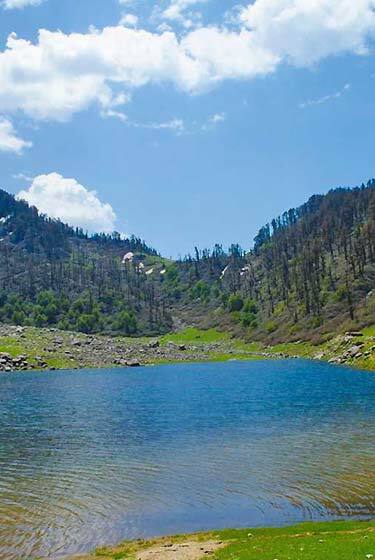 One of the most delightful treks in the Manali region affording views of lush green valleys, towering snow clad mountains and barren hills with surrealistic forms and shapes. 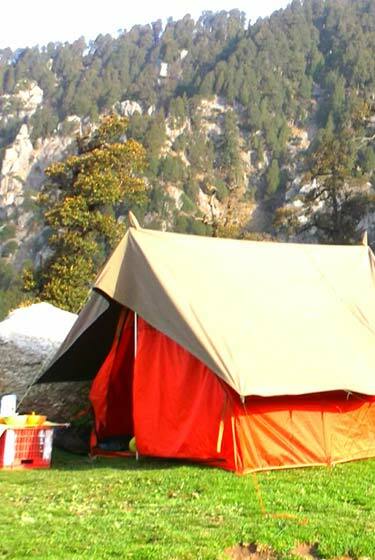 Excellent for the trekker who is reasonably fit.Leaving the Manali valley, the trek proceeds through evergreen cool forests of walnut, oak and pine. The views of the entire Kullu valley are excellent and are glimpsed all along the trail. Once atop the Hamta Pass (4200m.) then it is into The Chandra valley of Lahaul&Spiti district where barren towering mountains rise above lush green fields of potato and barley. Day 01 – Arrival Manali in the morning. Drive to Hamta 12km, check in camp (2600m). Fresh up and rest. After lunch short trek to village Sethan for acclimatization. Overnight stay, bone fire and dinner in camp. Day 02 –Hamta to Jobri drive and trek to Balu ka ghera (3600m). after breakfast drive 6 km to starting point of trek at Jobri (3000m). Trek to camp with 3-4 hrs on the easy section at the start . on the way there is Sethan village which is occupied by community those who came from Spiti&Kinnaur many years ago, known as a Khampas (gypsy community) and we finally reach the campsite on green meadow below rocky mountain beside the Hamta river. Today one has to cross mountain stream couple of time first to reach a beautiful camp site at Chhika which is just below a water fall. After that trail goes along the rushing river on the right side and rocky cliff on the left side..o/n in camp. Day 03: Balu ka ghera to Hamta pass (4270m) and back- 5-6hrs .Today’s walk is moderate along the river. The massive mountains of the PirPanjal and Spiti ranges dominate the entire landscape . 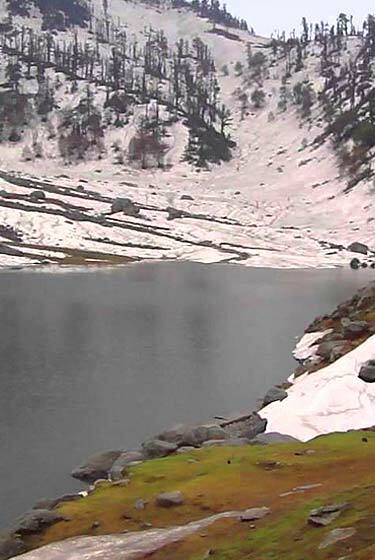 Trek to reach the Hamta pass may be on snow from Balu ka ghera onwards in month of May. 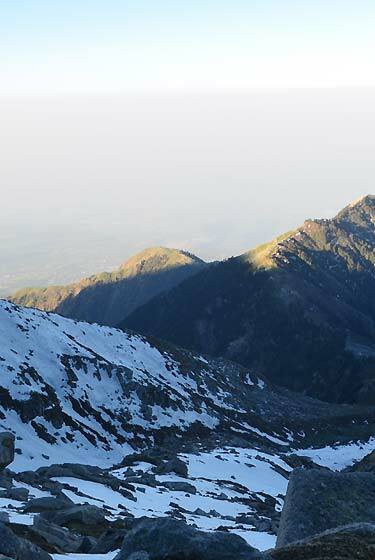 The view of snow capped peaks like Deo tibba ,Indraasan and its glaciers is breathtaking from the top of Hamta pass. 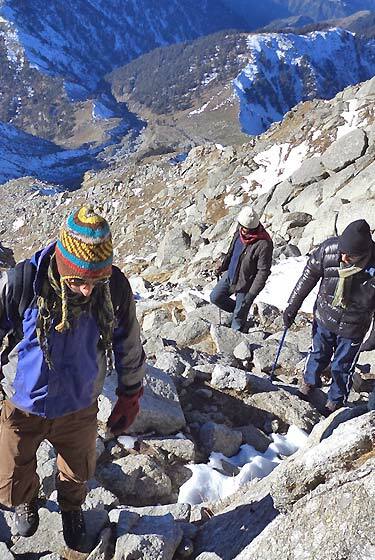 After spending few hours on top of pass we trek back to camp at Balu ka ghera. o/n in camp. Day 04 : Balu ka ghera to Hamta. 3-4hrsTo day we will trek back to Hamta village following the same trail. Rest and refreshment. Bone fire and barbecue in evening .o/n in camp. Day 05 : Departure to Manali. After breakfast drive to Manali. One is free to do his own activity , like local sight seeing, shopping, paragliding or rafting. In evening depart to pre decided destination.